Daoism, as the primary indigenous religion of China, is a highly esoteric tradition. Constructed of many different strands, over several thousand years, Daoism has a complex history of integrating various techniques of meditation, spirit communication, consciousness projection, bodily movements, medicine, and “internal alchemy” with a profound transpersonal philosophy of nature and a metaphysics of human relationships based on an ideal of spiritual transformation leading to immortality. The mythically structured world of Daoism is rooted in the tripartite division of Heaven, Humanity, and Earth which interact through a rich web of symbolic correlations and correspondences centered on the Daoist sage as a master of a parallel integration of spirit, mind, and body. Thus while Daoism emphasizes bodily disciplines like T’ai Chi and Chi Gong, a healthy diet, and a natural life in harmony with nature and natural processes, it also emphasizes a paradigm of embodied spirituality that seeks to actualized various inner potentials that can lead to the radical transformation of the natural. Rather than seeking to attain transcendence “beyond nature,” Daoism emphasizes the value of nature as the ground of all transpersonal development. Such a paradigm is highly congruent with certain streams of practice and thought in Western esotericism as well as with current, emergent models of participatory spirituality influenced by Daoism. Over the last fifty years, Daoism has become increasingly accessible to the west, primarily through the translations of esoteric texts and through the increasing propagation of multiple Daoist traditions by both Chinese and Western teachers. Daoism is by no mean a single hegemonic tradition, but a mosaic of textual, ritual, and interpretive practices and schools that eludes any simple quantification. Much like Western esotericism, Daoism is a complex reflection of movements and dialogical interactions, often based on the writings or oral traditions of individual masters whose teachings were at times subversive or highly controversial within the Chinese context. This dialogical interaction was unmediated by any single institutional hierarchy until very late in Chinese history and even in that late context, individual Doaists continued to develop esoteric practices through personal interpretations of the immense collection of Daoist esoteric texts, as epitomized in the Daozang or collected sacred texts of Daoism, canonized in 1444 and still largely untranslated into English. The thousands of texts in this collection are highly esoteric and yet, there is no specific doctrinal framework for the collection which leads, in turn, to many sectarian differences in both interpretation and application of those texts. Simultaneously, specific schools have also institutionalized their ritual enactments and training processes resulting in highly diverse sects, each with its own ethics, techniques, and relationship to the local community. 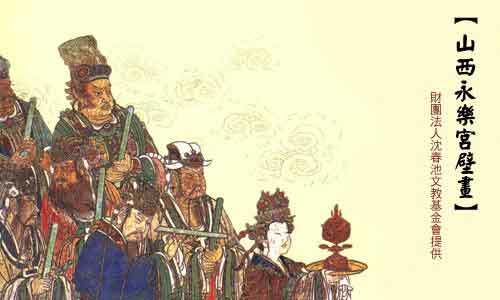 The cosmological and philosophical reflections (daojia) of the sages and the religious activities (daojiao) of the institutional priests combine in a dynamic syncreticism that is unique for each school or, possibly, for each Daoist. Only a loosely confederated series of specific texts, practices, and concepts, such as yin-yang, wuxing five-element cosmology, reiterative correspondence, basic moving and sitting meditations, a shared pantheon of deities, and a search for immortality link the various schools. By the Tang dynasty, the mythical founder of Daoism, Laozi [Lao Tsu], was worshipped by many Daoists as both a divine ancestor and as the personification of the great Dao, incarnating as or appearing to different Daoist masters. Daoism, like Western esotericism, is a plurality of traditions, not a unilateral institution, a rich synthesis of diverse texts and practices, not a dogmatized creed. Further, Daoism is also influenced by shamanic practices, Chinese folk religions, Confucianism, Buddhism, and various missionary influences from Islam and Christianity (beginning with the 17th century Jesuits). Daoists have reacted diversely to these additional influences and have debated, sometimes fiercely, with each other over the appropriation of non-Daoist ideas or practices. C. G. Jung, a proponent of modern alchemical and gnostic psychology, used the Wilhelm translation of the Yijing as a therapeutic aid in “exploring the unconscious” of his patients in analysis. Further, his popular idea of “synchronicity” was deeply influenced by his Daoist readings as an alternative holistic idea in the face of the more mechanistic theories of contemporary science. Jung also borrowed from the Daoist theory of visualization processes and from Yin-Yang to develop his theory of the polarity of the archetype and the general polarity of the psyche in search of wholistic integration. Other psychological theorists, like Erikson and Maslow, also contain ideas resonant with Daoist thought, while a few limited studies in Daoist alchemy were also being published. By the 1950s, a limited textual Daoism was being propagated in academic institutions and a rudimentary beginning was made in the study of the religious, social, and historical aspects of Daoism through the work of Maspero, Needham, Creel, Girardot, Wing-tsit Chan, and others. Thus the primary influence of Daoism in the west was through texts and translations, not through the study of religious rituals or alchemical practices which remained largely obscure and unknown. Further, these texts were composites based on generations of redaction and application to religious life and not simply the unedited philosophical texts of individual masters. This literary bias, based on a western orientalist textual paradigm, has obscured much that is esoteric and magical within living Daoism, both in the past and in the present. The 5,000 texts of the Daozang are filled with esotericism of the most diverse and complex kind, written in special languages, with hundreds of symbolic, alchemical drawings, mandalas, maps, diagrams, and instructions for internal alchemical transformations. The Chinese terminology for the various esoteric traditions has a highly complex etymological and semantic history (the 1915 Chinese-German dictionary gives 46 different meanings for the term Dao). While the Daodejing has over 200 translations in 17 languages, the inner teachings of Daoist esotericism still remains obscure in the popular context. Nevertheless, Daoist thought has impacted both European intellectual traditions and American transcendental thought and popular culture in significant and enduring ways. An~other follower of Crowley, Louis Culling, who in the early 1930s joined the magical gnostic order of the GBG founded in America by C. F. Russel (a disciple of Crowley) and who became head of the southern California section of the GBG Order, studied the Yijing for many years as intrinsic to the GBG gnostic magical path. Culling became the expert on magical interpretation of the “pristine” Yijing which he believed was hidden beneath the “barnacles” of historical text transmission. He eventually published (1966) a written version of the text, The Pristine Yi King, as used in the GBG starting in the late 1930s. The casting of the divination sticks (or wands or coins) fell according to a “Supraconscious Intelligence” working through the operator of the sticks. The 64 hexagrams were memorized as a Magic Square by members of the GBG and drawn on a white cloth for the oracular casting. In developing his magical use of the Yijing, Culling demonstrates familiar with Daoist terminology and the symbolism of the bagua prognostic chart of the eight primary trigrams. 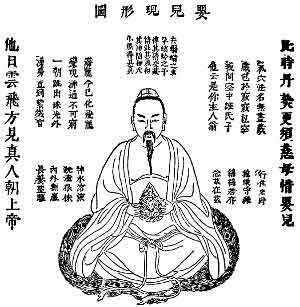 He rejected the Yijing translations of Wilhelm and Legge and claims to have “recovered” the original text based on the eight bagua (trigrams) of Fushi, the original (mythic) author of the Yijing. Culling created a table of correlations for each of the eight bagua consisting of a trigram, a symbol, a specific meaning, a quality, and “sigil” or geomantric graphic image of an element--for example, “Khien” (three solid yang lines), symbol of heaven or sky, the meaning is projecting strength or power, the quality is will or creation, the sigil is a large T symbolizing the lingam (Sanskrit), the male sexual organ. This is all a strange mix of Daoist and east-west magical symbolism. From this table of correspondences, Culling then develops a system of interpretations of the position of each of the bagua in 64 combinations and gives the magical application of the hexagrams as related to a magical circle very similar to actual Daoist ritual practices related to the hour, day, season and so on. He then gives only a single line “translation” for each hexagram, coupled with his own original commentary based on his primary table of correspondences. Subsequently, this oracular technique was taught by Culling to the GBG members. While the writings of C. G. Jung and Mircea Eliade on western alchemy set the stage for even greater interest in possible parallels with Daoist alchemy, perennialists such as René Guénon, Titus Burckhardt, and Julius Evola were also strongly attracted to Daoism as an esoteric expressions of philosophia perennis. Whereas earlier writers, as noted above, drew parallels between Daoism and Kabbalah, these neo-traditionalists drew parallels between Daoism and Islamic Sufism. By "perennialists" I mean a coterie of European intellectuals committed to sophia perennis, or a “perennial wisdom” that they claimed as the authentic, inherent core of all “true” religious traditions, epitomized by Frithjof Schuon as a “transcendental unity” inherent to all religions, a claim still made under the term “primordial tradition” in America by such scholars as Huston Smith and Seyyed Hossein Nasr. The link with Daoism was made through the circuitous route of identifying an inner core of teachings reflecting a universal and transcendent, esoteric spirituality supposedly free of all cultural and hermeneutic influences. Daoism was eventually assimilated into this esoteric ideology through comparisons drawn between various mystical texts and initiatic traditions, which came to include the “pristine” teachings of the Laozi and Zhuangzi. The Italian hermetic and magical baron, Giulio (Julius) Evola, was a keen follower of Guénon and wrote a book on his life among his many other esoteric works. While Evola, as a "philosopher-visionary", sage, esotericist, painter and mountaineer applied the traditionalist and perennialist ideology to political matters, he also had a strong interest in Daoism. Evola borrowed from Daoist, Buddhist and Tantric texts to formulate his magical theories of correspondence. Recently, Evola’s thoughts on Daoism have been published in Taoism: The Magic, the Mysticism (1995). Evola, whose interests centered on an “aristocracy of the spirit” epitomized by heroic, kingly figures and ascetic, mystical “men of knowledge,” understood Taoism as a paradigm of the “primordial Eastern tradition.” Lao-tzu, whose teachings are described as “mysterious, elusive, and bewildering,” became a “super-temporal being” after his death (a reference to the divinization of Lao-tzu in the later Han period), and was an initiator of “real men” though his visionary appearances to various Chinese masters. This initiatic element reflects a universal esoteric current “strictly associated with the royal function” meant to guide elect human beings to higher knowledge. Evola regarded the Tao Te Ching as an esoteric text of the great “primordial tradition” centered on the Dao, or Way, manifest in two aspects: the great principle of primordial unity (transcendence) and the active principle (immanance) of spiritual virtue or law (de). Another less dogmatic traditionalist and esoteric writer, Titus Burckhardt, was also influenced by Daoism, particularly by Daoist aesthetic theories as seen in Chinese painting. Burckhardt, a close intellectual compatriot and friend of Frithjof Schuon, espoused a universalist Sufi wisdom (sophia perennis) and wrote on alchemy and gnosis. He also wrote at length on the Daoist idea of “creative spirit” in painting, which he identified in Daoism with “the rhythm of cosmic life.” The flow of brush and ink, like the appearing and dissolving of a snowflake, reflected the dynamic reality of the Dao underlying static, perishable physical phenomena. Burckhardt saw in the Daoist perspective, a less individual or “homocentric” emphasis, which expressed an inner calm of contemplation that revealed a hidden, timeless harmony normally veiled by “the subjective continuity of the mind.” He accurately grounds this deeper harmony in the Daoist concept of wuqi (non-being or void) as a primordial, transcendental truth. He also references the importance of Daoist concepts of “wind and water” (fengshi), sacred geography (mountain and water), simplicity, naturalness, and spontaneity, all basic to classical Daoism. In a similar spirit, Toshihiko Izutsu, a scholar at McGill University, published his perennialist work, Sufism and Taoism (1967) comparing the mystical writing of Ibn ‘Arabi (Fusus al-Hikam) with the Zhuanzi and Daodejing, which became highly popular among traditionalists and esotericists supporting philosophia perennis. By the late 1960s and early 1970s, Daoism in the west had entered a new phase. Scholarship was producing new translated texts for study, historical interpretations were moving beyond the old paradigms, and Daoist studies were moving increasingly away from a simplistic interpretation of a few classic texts. Increasingly, Daoism was differentiated from western models of mysticism and spirituality in an attempt to elucidate its unique cultural and historical aspects. 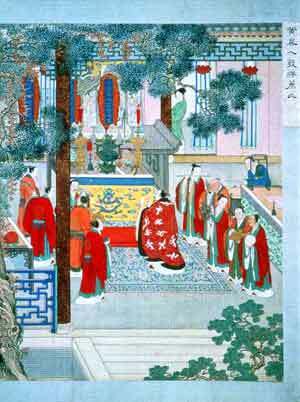 The “immanent” aspects of Daoist spirituality were emphasized in contrast to Christian “transcendence” and the religious and magical aspects of Daoism were increasingly regarded as normative features of the religious traditions--there was no true split between “philosophical and religious” Daoism. Instead there was only an increasing complexity and interweaving of diverse sources, as more ethnography was published and more texts from the Daozang have become accessible. Starting in the 1970s, American-Chinese authors also began to publish translations on Daoism, beyond the normative texts, such as Lu K‘uan Yü’s (Charles Luk) The Secrets of Chinese Meditation (1964) and his more influential Taoist Yoga: Alchemy and Immortality (1970) which gives a translation of the Xin Ming Fa Jue Ming Zhi (“The Secrets of Cultivating Essential Nature and Eternal Life”) written by an late 19th century Daoist master of internal alchemy, Zhao Bi Chen. This work and its useful Chinese-English alchemical glossary has become highly referenced by contemporary esotericists and by many Chinese Daoists in America. In the 1970s, authors like J. C. Cooper (1972), began to write popular but short overviews of Daoism, published (like Charles Luk) by Western esoteric presses, which covered the subject in a way that demonstrated familiarity with more diverse aspects of the esoteric tradition. Fritjof Capra also published his very popular work, The Tao of Physics (1975), which explored parallels between modern physics and “eastern mysticism” and has a chapter on Daoism. Capra draws heavily on the Zhuangzi and on the Daodejing and Yijing but applies the ideas to the physics relativity paradigm, to holistic transformation, and to wu-wei, or non-action, as intellectual ideas precursory to quantum physics and a “dynamic transformative view” of the universe, with an emphasis on flow, change, and the integrated polarity of the Dao. Such a work helped to give credibility to Daoism by aligning it with science (following Joseph Needham’s earlier work) and with a detheologized metaphysics. Even more popular were two outstanding authors who were very influential in making Daoism accessible to westerners, John Blofeld and Alan Watts. Both Watts and Blofeld have associations with western esotericism simply because they helped to popularize Daoism at a time when “eastern religions” were part or an emergent “new age” paradigm that was impacting many currents within American and European esotericism. While both authors had strong interests in Buddhism, Blofeld’s work was largely based on his actual meeting with Daoist masters and practitioners during his 17 years in China. In 1978, Michael Saso, a Western scholar fluent in Pinyin and classical Chinese as well as in Japanese, published his excellent Taoist Master Chuang about the life and esoteric practices of a Zheng-Yi Daoist master then living in Taiwan. Saso lived with Master Chuang in Taiwan and studied with him over a period of years. He writes, “Daoism is an esoteric religion” and he observes that Daoist masters draw a clear distinction between “common doctrines” and the “secret teachings of the highly trained specialist” which he then describes in a detailed, though introductory fashion. From the mid-1970s on, “esoteric Daoism” based in wuxing (correlative cosmology) and neidan (internal alchemy) became increasingly accessible through texts and ethnographic descriptions. While these resources have proliferated, it has been the Western students of Chinese teachers that have introduced Western esoteric ideas into a Daoist context. These ideas in turn have initiated dialogues that have resulted in publications by Chinese teachers (and by their students) that meld Western esotericism and Chinese esotericism into a variety of systemic comparisons and a rich vocabulary of teachings and practices. The mediating language of this comparison, in America, Canada, Britain, and Australia, has been English in translations, ethnography and in Daoist writings. Subsequently, it is the English vocabulary of esotericism that is most commonly used and assumed by these writers. Thus there is a certain amount of “matching terminology” (ge-yi) between systems of Chinese and English esotericism, simply assumed as normative by both Chinese teachers and their American students. During his years in New York City, he attracted many students and several of them had a background in Western esotericism, particularly Eric Yudelove in Kabbalah and Dennis Lewis, who was a student of the Gurdjieff breathing techniques. Yudelove’s work is by far the most integrative work on Daoism and Kabbalah (The Tao & the Tree of Life: Alchemical & Sexual Mysteries of the East and West). Yudelove references John Blofeld (1973) as highly influential on his thinking and talks of his interests in Kabbalah, the Yijing, and Western alchemy during his earlier years. The study of Western alchemy led to interests in Chinese alchemy, Wilhelm’s publications, Aleister Crowley, Charles Luk, and subsequently to Daoist martial arts where he met Mantak Chia in 1981 in New York City, a rather archetypal journey. Yudelove notes that he “taught Master Chia about shamanism and the Western study of the elements called Hermetics.”  Yudelove picks up on an old theme of the connection between Daoism and Kabbalah, as first compared by Martin Buber, then in the masonic text "Les Enseignements Secrets de la Gnose," and later by members of the Golden Dawn like Israel Regardie, and more recently by Réne Guénon. Yudelove’s book is a remarkable dialectic exploration of Kabbalah and esoteric Daoism. Another of Mantak Chia’s students, Dennis Lewis has also written a 1997 work on Daoist breathing techniques and practices which he compares to certain breathing techniques and ideas that he studied with John Pentland, the English teacher of the Russian Gurdjieff system. Gurdjieff had, at least in part, learned his breathing and dance exercises during his travels and studies among the Sufi dervishes of central Asia. Gurdjieff’s esoteric “law of three” (active, passive and neutral) corresponds well with the Daoist triad of Tai Qi mediating between yin and yang, as do the three chambers of Daoist alchemy (stomach, heart, and head) correspond well with Gurdjieff’s “three bodies” of the carnal, emotional, and spiritual. Lewis attributes John Pentland (d. 1984) with teaching him “how to think from the perspective and sensation of wholeness” and thanks Jean Kline, an Advaita Vedanta master, for helping him to understand the “that love and consciousness are at the very heart of being.”  Lewis, blending Western esotericism with Vedanta, is particularly interested in Ji Nei Zang (Chi Nei Tsang) a Chia healing technique using an “internal organ Qi massage” with breathing techniques to clear tensions and illness from the body. He has been certified by Master Chia in Ji Nei Zang and combines his work with Gurdjieff breathing techniques to break down the “buffering mechanisms” (Gurdjieff) that inhibit connection with deeper self-awareness and good health. Through the 1980s and 1990s, Daoism has become increasingly popular and accessible to the general public, primarily through the increasing presence of Chinese and American teachers in the area of Daoist martial arts. Micheal Winn, another of Mantak Chia’s students, and a 25 year practitioner of Daoist martial arts has his own teachings of internal alchemy, based on “the seven Tao alchemical formulas Chia transmitted from the wandering Daoist Yi Eng.” Winn has studied alchemy (East and West) and uses a vocabulary replete with East-West alchemical terms in teaching Daoist martial arts and internal practices. Deng Ming-Dao’s Chronicles of Tao : The Secret Life of a Taoist Master (1993), published in three volumes during the 1980s, tells the fascinating story of a Daoist martial artist’s training and then journey to America. Deng has also published an esoteric work on Daoist scholar-warrior’s training (1990) and several other popular works. Eo Omwake, who established the Mind, Body & Spirit Academy near Chadds Ford PA, is a member of the Gold Mountain Jin Dan Taoist Order, a “traditional Taoist order with roots going back many generations into old China.” Omwake, a highly respected martial artist, writes on “Taoist Alchemy and Symbolic Language” (using Western terminology) to discuss the esoteric aspects of symbols and images as they apply to Daoist marital arts and personal psychological development. Increasingly, Daoism is resonant with various aspects of the deontologized views of physics, for example in “chaos theory,” which has also manifested intersections with various magical theories, such as “Enochian magic." Daoism presents an interesting resource for cosmological speculations that are very current in terms of astrophysical theories concerning “self-organization," an “open universe,” fractal transformation, and a general process view of change and development. Post-modern theorists have also reflected on Daoism, drawing certain aspects of Daoist language theory into post-modern discourse, claiming an affinity between the two. Deconstructive writers—who seek to undermine dualism and binary opposition—have seen in Daoism a theory of non-exclusive mutuality between pairs that undermines all oppositional metaphysics. Daoist theories of interdependence, harmony, and accommodation, its non-logocentric view of natural processes, and a pragmatic theory of immanence and transformation all contribute to a “post-philosophical” discourse that emphasizes the value of diversity, alternate perspectives, and multivocal language. Daoism continues to expand its influences in ways that will no doubt stimulate esoteric thought and practices in the years to come. In summary, there are three notable stages of Daoist impact on Western esotericism. In the first and earliest stage, Daoism was seen as an exotic, strange, alien cultural alternative that was perceived only through a very limited textual horizon, primarily through questionable translations of the Yijing, Daodejing and Zhuangzi, studied in a completely decontextualized atmosphere of Western speculation, theory building, and deculturalized appropriation. Opposed to a Confucian bias, reinforced by the early Jesuits preference for social order, and contrasted as a deviant, eccentric, and “degenerated” religious influence, Daoism was reduced to its classical texts as appropriated by intrigued European intellectuals, such as Leibnitz, Buber, Heidegger, Wilhelm, and Jung. In this stage, “Daoism” was constructed with little relation to its living religious practices, and was only minimally represented by the early formative roots of its most classic texts. The dominant paradigm of “philosophical Daoism” was built around the concept of philosophia perennis, as an enduring “truth” inherent to all religious traditions and as manifest in the comparative study of classic texts. Daoism was not seen as “esoteric” but as a vaguely understood mythic wisdom tradition whose enigmatic teachings perplexed and fascinated Western intellectuals who assimilated the classic texts into a metaphysical discourse built around themes of universalism, comparative mysticism, and archetypal theory. In the second stage, some esotericists upheld a theory of Daoism as ~prisca theologia (ancient wisdom) resonant with Renaissance astrological and correlative cosmology. These esotericists noted various structural similarities between Daoist and traditional pre-scientific, Western cosmology. Further similarity was noted between Chinese and Western practices or theories of alchemy, ritual magic, and divination techniques. Magical practitioners, like Crowley, Regardie and Louis Culling investigated the oracular use of the Yijing and the “pristine," underlying sophia perennis of a few Daoist texts. Simultaneously, European traditionalists such as René Guénon, Titus Burckhardt, and Julius Evola drew parallels with Sufism and other forms of mystical and esoteric, perennial teachings. Daoism in this context referred to the textual classics and was interpreted ideologically in terms of a universalist approach to mysticism and a constructivist, orientalist paradigm. In this context, “esotericism” came to mean a “traditional, initiatic school of masters and students” which passed on a universal teaching discoverable in the texts of all “authentic” religions. These traditions were hieratic and wisdom was based on authoritative teachings and masters that sought to elucidate each tradition in terms of an “inner core” of mystical, transcendent essence. Guénon in particular had specific ties with Western esoteric societies and initatic lodges and epitomizes the intellectual appropriation, as does Schuon, of other religions into their unique brand of ideological universalism. However, some scholars, like Toshihiko Izutsu, were more carefully textual in their comparative analysis. The third stage was initiated by an increasing dissemination of Daoist teachings through the popular writings of Westerners like Thomas Merton, John Blofeld, and Alan Watts as well as through emerging Chinese translations from writers like Charles Luk. These authors help to create a more receptive climate for Daoism in a popular context of interest in esotericism and “new age religions” and provided introductory works accessible to the general public. Watts specifically had ties to Western esotericism and more than others, promoted “eastern religions” as a source of wisdom without promoting any particular ideology regarding the relationship between traditions. Also in this same late 20th century period, Chinese Daoist teachers from mainland China, Hong Kong, and Taiwan began to immigrate into Western countries and began to attract Western students, particularly in relationship to Qigong, Taiji, and other martial arts related to “internal alchemy." Chinese teachers began to publish materials on their own traditions at the same time that Western scholars began to publish on Daoist religion, its history, cultural context, and rich text traditions. Ethnographic descriptions of “Daoist esotericism” such as those by Michael Saso, were complimented by the writings of Chinese teachers, such as Deng Ming Dao, and many new translations of texts from the Daozang. Chinese teachers, like Master Hua Jing Ni, have continued to write and publish prolifically and many have started Daoist organizations in the West in the form of training programs, schools, universities, and institutions for advanced training in Daoist medical and martial arts. In turn this is complimented by a growing American interests in martial arts, internal alchemy, and Daoist techniques of healing and self-development. Students of these Chinese teachers have written works that explicitly tie Daoism to Western esoteric traditions, in areas such as esoteric cosmology, Kabbalah, magic, occultism, and the teachings of specific Western masters, such as Gurdjieff. Increasingly, Daoist esotericism is resonant with Western esotericism in “matching terms” to form a basic vocabulary that is not strictly Eastern or Western, but a bit of both. At this stage, the comparative synthesis is far from fully developed but shows a deepening integration by those who are practioners of both traditions. However, the emphasis for contemporary practitioners is far more on “embodied spirituality” than on any particular essentialist ideology; the goal of actualizing energies latent within the body seems to be the normative goal. The esoteric alchemical texts of physical transformation are far more influential in this period than the early classic philosophical texts because the latter texts are tied to spiritual practices inseparable from a concern with alternate perceptions at the somatic, sensate level. Daoism in the context of esotericism offers an entrance into energy practices, meditation, visualization, and martial arts that is far more grounded in body work and self-development than earlier Western interests. The “internal alchemy” practices written about by Western students of Chinese teachers are particularly tied to visualization and magical techniques highly congruent with many of the practices in Western esoteric magical societies. Without doubt, the “dao in Western esotericism” will continue to develop as more texts, more enhanced practices, and more familiarity with Daoist esoteric magical rites become known. Overall, Daoism may prove to be far more amenable to synthesis with Western esotericism than other traditions like Buddhism and Hinduism due to its very strong connections with nature, magical techniques, martial arts, living a healthy long life, and a thoroughly magical and transcendent, detheologized cosmology. The implicit relationship with much of the history of interest in Daoism lies in its adaptability to a non-theological view of nature and human development. Western esotericism shares similar interests and both traditions favor a diffuse and decentralized institutional structure that allows for great variability without any controlling central authority, nor any strict monastic or ascetic traditions (though both exist in variant forms of Daoism). Popular Daoism has assimilated the classical tradition into its religious practices and subsequently developed a complex metaphysics that shows some compatibility with modern science and deconstructive theories of language (as in “the Dao that can be spoken of is not the true Dao”). 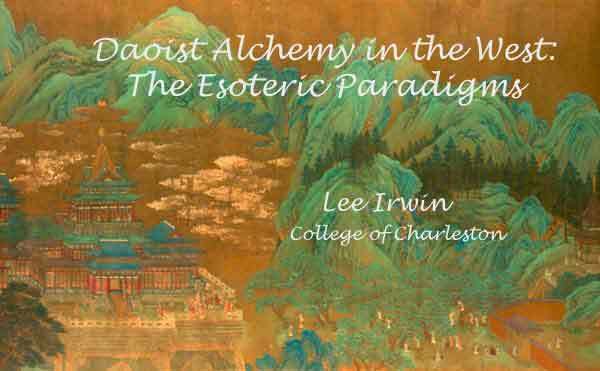 Coupled with its highly developed esoteric practices, Daoism clearly offers a rich field of comparative study for the development of esoteric paradigms neither exclusively Western nor Eastern. In that context, Daoism will certainly provide a rich source of esotericism for those willing to make the necessary efforts to truly understand its inner teachings. Bardon, Franz. The Key to the True Quabbalah: The Quabbalist as a Sovereign in the Micro- and the Macrocosm (Germany: Wuppertal, 1975). Ballantyne, Edmund. “Alan Watts.” In Charles Lippy (ed.) Twentieth-Century Shapers of American Popular Religion (NY: Greenwood Press, 1989). Bjerregaard, C. H. A. The Inner Life and the Tao-Teh-King (New York: The Theosophical Publishing Co., 1912). Blofeld, John. The Book of Change: A New Translation of the Ancient Chinese I Ching ( NY: Dutton 1966). Blofeld, John. Taoist Mysteries and Magic (Boston, MA: Shambala Press, 1973). Blofeld, John. Taoism: The Road to Immortality (Boston, MA: Shambala Press, 1978). Burckhardt, Titus. Sacred Art Art in East and West: It’s Principles and Methods (London: Perennial Books, 1967). Capra, Fritjof. The Tao of Physics: An Exploration of Parallels between Modern Physics and Eastern Mysticism (Boulder, CO: Shambala Press, 1975). Carus, Paul. Lao-Tze's Tao-Teh-King: Chinese-English, with Introduction, Transliteration, and Notes (Chicago: Open Court Publishing Company, 1898). Carus, Paul and Teitaro Suzuki (eds). T`ai-shang kan-ying p`ien : Treatise of the Exalted One on Response and Retribution (Chicago, IL: Open Court Pub. Co., 1906). Chalmers, John. The Speculations on Metaphysics, Polity, and Morality, of "the Old Philospher," Lau-Tsze (London, Trübner & Co., 1868). Chang, Chung-yuan. "An Introduction to Taoist Yoga". The Review of Religion Vol: 20: 131-148. (Reprinted in Laurence G. Thompson (ed.) The Chinese Way in Religion (CA: Dickenson, 1973: 63-76.). Cooper, J. C. Taoism: The Way of the Mystic (Wellingborough, England: The Aquarian Press, 1972). Crowley, Aleister. Shih Yi; A Critical and Mnemonic Paraphrase of the Yi King (Oceanside, CA: H. P. Smith, 1971). Culling, Louis. The Pristine Yi King: Pure Wisdom of Ancient China (St. Paul, MN: Llewellyn Publications, 1989). Davis, Tenney L. "The Identity of Chinese and European Alchemical Theory." Journal of Unified Science (Erkenntnis), 1939 Vol. 9: 7-12. Deng Ming-Dao. Scholar Warrior : An Introduction to the Tao in Everyday Life (San Francisco, CA: Harper SanFrancisco, 1990). Deng, Ming-Dao. Chronicles of Tao : The Secret Life of a Taoist Master (San Francisco, CA: Harper SanFrancisco, 1993). Drury, Neville. The History of Magic in the Modern Age: A Quest for Personal Transformation (NY: Carroll & graf Publishers, 2000). Evola, Julius. Taoism: The Magic, The Mysticism (Eugene, WA: Oriental Classics, Holmes Publishing Group, 1995). Faivre, Antoine. Access to Western Esotericism (Albany, NY: State University of New York Press, 1994). Faivre, Antoine. “Renaissance Hermeticism and Western Esotericism.” In Roelof van den Broek and Wouter J. Hanegraaff (eds. ), Gnosis and Hermeticism fromAntiquity to Modern Times (Albany NY: State University of New York Press, 1998). Ferrer, Jorge N. Revisioning Transpersonal Theory: A Participatory Vision of Human Spirituality (Albany, NY: State University of New York Press, 2002). Girardot, N. J. Myth and Meaning in Early Taoism: The Theme of Chaos (Berkeley, CA: University of California Press, 1983). Goddard, Dwight. Laotzu's Tao and Wu Wei; Dao De Jing. (NY: Brentano, 1919). Guénon, René. The Great Triad ( (New Delhi: Munshiram Manoharlal Publishers, 1994). [Orig: 1946]. Guénon, René. Symbolism of the Cross. (London: Luzac, 1958). Guénon, René. Insights into Islamic Esoterism & Taoism (Aperçus sur l'ésotérisme islamique et le taoïsme, Paris 1973) (Ghent, NY : Sophia Perennis, 2001). Huang, Al Chung-liang. Embrace Tiger, Return to Mountain: The Essence of T`ai Chi (Moab, UT: Real People Press, 1973). Henderson, John. The Development and Decline of Chinese Cosmology (NY: Columbia University Press, 1984). Herman, J. R. I and Tao: Martin Buber’s Encounter with Chuang Tzu (Albany, NY: State University of New York Press, 1996). Irwin, Lee. "Western Esotericism, Eastern Spirituality, and the Global Future,” Esoterica, Vol. III, 2001:1-47. Johnson, Obed Simon. A Study of Chinese Alchemy (Shanghai, China, 1928). Johnson, Samuel. Oriental Religions and their Relation to Universal Religion (Boston, MA: Houghton, Osgood and Company, 1878). Jones, David and John Culliney. “The Fractal Self and the Organization of Nature: The Daoist Sage and Chaos Theory.” In Zygon, Vol. 34/4:643-654. Orientalism and Religion: Postcolonial Theory, India and "the Mystic East" (CA: Routledge Press, 1999). Kirkland, Russell. “The Historical Contours of Taoism in China: Thoughts on Issues of Classification and terminology.” Journal of Chinese Religion Vol. 25/1 1997:57-76. Le Forestier, René. L'occultisme en France aux XIXème et XXème isècles (inédit par Antoine Faivre, Milano: Archè, 1990). Legge, James. The Religions of China; Confucianism and Tâoism Described and Compared with Christianity (New York: C. Scribner's Sons, 1881). Lewis, Dennis. The Tao of Natural Breathing: For Health, Well-Being, and Inner growth (San Francisco, CA: Mountain Wind Publishing, 1997). Lu, K'uan Yü. The Secrets of Chinese Meditation; Self-cultivation by Mind Control as Taught in the Ch'an Mahayana and Taoist Schools in China (London: Rider, 1964). Lu, K'uan Yü. Taoist Yoga: Alchemy and Immortality (NY: Samuel Weiser, 1972). Ni, Hua Ching. The Taoist Inner View of the Universe and the Immortal Realm (Santa Monica, CA: College of Tao & Traditional Chinese Healing, 1979/1996). Ni, Hua Ching. The Esoteric Teachings of the Tradition of Tao (Malibu, CA: Shrine of the Eternal Breath of Tao, 1989). Ni, Hua Ching. Esoteric Tao Teh Ching (Santa Monica, CA: College of the Tao & Taditional Chinese Healing, 1992). Ni, Hua-Ching. Concourse of All Spiritual Paths : East Meets West, Modern Meets Ancient (Santa Monica, CA: Seven Star Communications, 1995). Nasr, Seyyed Hossein. Knowledge and the Sacred (NY: State University of New York Press: 1990). Parks, Graham (ed.) Heidegger and Asian Thought (Honolulu: University of Honolulu Press, 1987). Robinet, Isabelle. Taoism: Growth of the Religion (Stanford, CA: Stanford University Press, 1997). Rosen, David and Ellen Crouse. “The Tao of Wisdom: Integration of Taoism and the Psychologies of Jung, Erikson, and Maslow.” In Polly Young-Eisendrath and Melvin Miller (eds.) The Psychology of Mature Spirituality (Philadelphia, PA: Routledge Press, 2001: 120-129). Saso, Michael. Taoist Master Chuang (Eldorado Springs, CO: Sacred Mountain Press, 2000). [Origin: 1978]. Schipper, Kristofer. The Taoist Body (Berkeley, CA: Universiyt of California Press, 1993). Schuon, Frithjof. Transcendent Unity of Religions (IL: Quest Books, 1984). Sedgwick, Mark. “Traditionalist Sufism.” Aries Vol. 22, 1999: 3-24. <http:// www.aucegypt.edu/faculty/sedgwick/tradsuf.htm#N_4_>. Smith, Huston. Forgotten Truth: The Primordial Tradition (NY: Harper Colophon Books, 1977). Strickmann, Michael. “On the Alchemy of T’ao Hung-ching.” In Holmes Welch and Anna Seidel (eds. ), Facets of Taoism: Essays in Chinese Religion (New Haven, CN: Yale University Press, 1979: 123-192). Towler, Solala. A Gathering of Cranes: Bring the Tao to the West (Eugene, OR: Abode of the Eternal Tao, 1996). Waterfield, Robin. René Guénon and the Future of the West : The Life and Writings of a 20th-century Metaphysician (Wellingborough, England: Crucible, 1987). Watts, Alan. The Supreme Identity: An essay on Oriental Metaphysics and Christian Religion (NY: Pantheon, 1950). Watts, Alan. The Wisdom of Insecurity (NY: Pantheon, 1951). Watts, Alan. Cloud-Hidden, Whereabouts Unknown (NY: Random House, 1968). Watts, Alan. Tao: The Watercourse Way (NY: Panteon Books, 1975). Wilhelm, Richard. The Secret of the Golden Flower, with commentary by C. G. Jung (London, K. Paul, Trench, Trubner & Co., Ltd., 1931). Wieger, Léon. Chinese Characters, Their Origin, Etymology, History, Classification and Signification (Hsien-hsien, Catholic Mission Press, 1927a). Wieger, Léon. A History of the Religious Beliefs and Philosophical Opinions in China from the Beginning to the Present Time (Hsien-hsien Catholic Mission Press, 1927b). Wong, Eva. The Shambhala Guide to Taoism (Boston, MA: Shambhala Press, 1997). Yudelove, Eric. The Tao & the Tree of Life: Alchemical & Sexual Mysteries of the East and West (St. Paul, MN: Llewellyn Publications, 1995). Yudelove, Eric. Taoist Yoga and Sexual Energy (St. Paul, MN: Llewellyn Publications, 2000).
 . J. J. Clarke 2000: 3. Since there is no strict convention for the conversion of Chinese characters into English, I have written this article using contemporary Pinyin transliterations. Thus, Tao te Ching (Wade-Giles, the older English system) is written as Daodejing (Pinyin). At present, there are four major transliterations used for converting Chinese to English, all of which ave various problems due to the subtlety of Chinese intonation and its distinctive lingual expressions.
 . Jorge Ferrer, 2002: 5-6.
 . J. J. Clarke 2000: 9.
 . Isabelle Robinet 1997: 196-97; Michael Saso 2000: 31-45.
 . J. J. Clarke 2000:18-21.
 . Isabelle Robinet 1997: 50-52.
 . J. J. Clarke 2000: 39, as published in Charles le Gobien’s Histoire de l’édit de l’Empereur de la Chine, 1698.
 . J. J. Clarke 2000: 40.
 . J. J. Clarke 2000:70.
 . Antoine Faivre 1998: 118.
 . See Léon Wieger 1927a and 1927b, passim.
 . See John Chalmers, 1848, passim, J. J.clarke 2000: 54.
 . See Richard King, 1999, passim, for more on the “orientalist” paradigms constructed by Western scholars and esotericists.
 . See James Legge 1881, passim.
 . J. J. Clarke 2000: 44-45.
 . See Johnson 1878, passim; J. J. Clarke 2000: 45.
 . C. H. Bjerregaard 1912, passim; Andrew Rawlinson, 1993: passim.
 . J. J. Clarke 2000:47; Paul Carus 1898 and 1906.
 . For Daoist influences on the Yijing, see J. J. Clarke 2000: 59-60.
 . J. R. Herman 1996: 15, 135, 163.
 . J. J. Clark 143-44, 172-175; Graham Parks 1987: 79-91.
 . J. J. Clarke 2000: 73, 100, 121-22, 126.
 . David Rosen and Ellen Crouse 2001: 120-129; Chung-yuan Chang, 1973; Tenny Davis, 1939.
 . J. J. Clarke 48, 50-51.
 . J. J. Clarke 2000: 54.
 . Isabelle Robinet 1997: 9, for an introductory overview of Daoist cosmology see 1997: 7-14; also John Blofeld 1985: 189-191.
 . Michael Saso 2000: 208-218 gives a very condensed summary, also passim.
 . Kristofer Schipper 1993: 103-112.
 . Isabelle Robinet 1997: 252-256.
 . John Henderson 1984: 54-58.
 . Michael Strickmann 1979, passim, for a good introduction to Daoist alchemy; also Micheal Saso 2000, passim, for an excellent overview of Daoist magical practices; J. J. Clarke 2000:122-128.
 . N. J. Girardot 1983:292.
 . Neville Drury 2000: 92-93, 99, 108.
 . For an interesting comparison of Crowley and Jung, see Lloyd Keane 1999.
 . Aleister Crowley 1971, 1973, passim.
 . Israel Regardie 1999: 42-44, 58, 60.
 . Louis Culling 1989: 25, Table One; GBG is a secret anagram, uninterpreted by Culling.
 . N. J. Girardot 1983: 294-98.
 . See Huston Smith 1977; Frithjof Schuon 1984; Seyyed Nasr 1990.
 . Andrew Rawlinson 1993, passim; Robin Waterfield 1987: 35-42. Mark Sedgewick 1999: 3-24, passim.
 . René Le Forestier 1990, contains the entire work.
 . Réné Guénon 1958: 6, 95-98.
 . René Guénon 1994: 171; 1973, passim; 2001.
 . Julius Evola, Taoism: The Magic, The Mysticism (Oriental classics, Holmes Publishing Group, 1995; original 1959). This short text was written as an introduction to an Italian translation of the Tao Te Ching.
 . Julius Evola, 1995: 8-14.
 . Julius Evola 1995: 18-21.
 . Julius Evola 1995: 21-26.
 . Titus Burckhardt 1967: 134-142.
 . Such authors as Angus Graham, Livia Kohn, Steven Bokenkamp, Roger Ames, David Hall, Chad Hansen, Thomas Cleary, Isabelle Robinet, Kristofer Schipper, Julia Ching, and Eva Wong have all contributed to the new paradigms.
 . J. J. Clarke 2000: 146-47, 160-165; also Russell Kirkland 1997, passim.
 . J. C. Cooper 1972.
 . Fritjof Capra 1975: 106-118, 126ff; Clarke 2000:75-77.
 . See Irwin 2001, passim.
 . John Blofeld 1966, 1973: 15; Blofeld’s title (Taoist Mysteries and Magic) is no doubt a paraphrase of Alexandria David-Neel’s popular book on Tibetan esotericism; Blofeld’s Daoist books are still in print.
 . John Blofeld 1978, passim.
 . Edmund Ballantyne 1989: 436-445.
 . Al Huang 1973; Solala Towler 1996: 111-130.
 . Solalal Towler 95-109; beyond text translations, she has also written a good overview of Daoist religious history and practices, Eva Wong 1997.
 . Jwing-Ming Yang, see YMAA (Yang’s Martial Arts Association Press), Yang says, “The best way to find a teacher is one who has published books”; Solalal Towler 1996: 15-29. I have studied Tai Ji with one of Yang’s teacher-students for five years and attended his workshops; I have also studied Tai Ji with two other Chinese teachers (from mainland China) and all of them borrow esoteric constructs from Western alchemy and magical traditions.
 . Michael Saso, 1978/2000 (plus many other works), this is an excellent introduction to Daoist magical rites and practices.
 . Hua Jing Ni, see <http://www.sevenstarcom.com/7star/main/about.htm>.
 . See Hau Ching Ni, 1979, 1989, 1992, 1995.
 . Hau Ching Ni 1979/1996, passim; Solalal Towler 1996: 1313-149.
 . J. J. Clark 2000: 133-134; Solalala Towler 1996: 58-73 and <www.universal-tao.com/index.html>; Tao Garden Healing Arts Center <www.tao-garden.com/about_us/index.html>.
 . Eric Yudelove 1995: xviii-xxi.
 . Eric Yudelove 1995: xv.
 . Eric Yudelove 1995: 7-9.
 . Eric Yudelove 1995: 16-18.
 . Eric Yudelove 1995: 25-27.
 . Eric Yudelove 1995: 34-36.
 . Franz Bardon, 1975 (original 1971).
 . Eric Yulelove 1995: 81-92.
 . Dennis Lewis 1997: 6.
 . Dennis Lewis, 1997: 21-22.
 . Dennis Lewis 1997: 50-54.
 . Dennis Lewis 1997: 145-46.
 . Edwin Shendelman, see: <www.abodetao.com> under articles for The Empty Vessel.
 . J. J. Clarke 2000:20.
 . J. J. Clarke 2000: 82-84.
 . J. J. Clarke 2000: 64-65; also David Jones and John Culliney, 1999, passim.
 . J. J. Clarke 2000: 184-193.